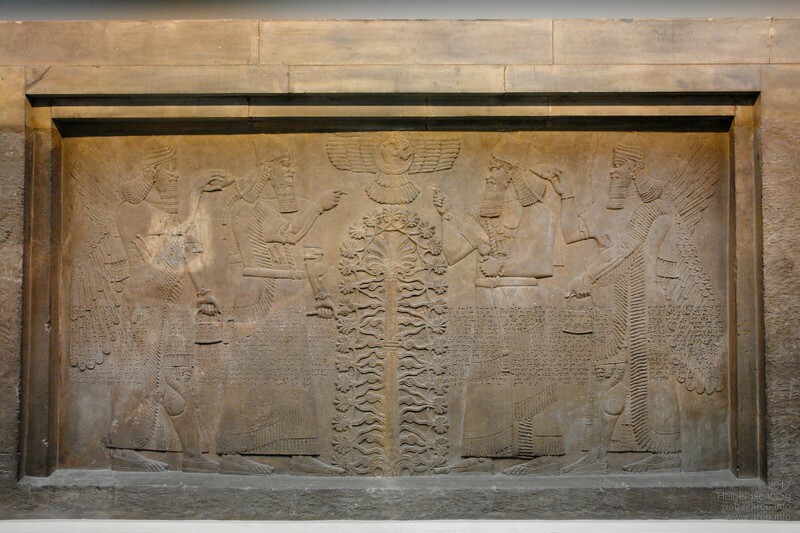 Assyrian king Ashurnasirpal from Nimrud with protective "gods" working on the the tree of life which looks suspiciously like the DNA double helix. Again all with their standard gear: wings, two wristwatches, utility case. British Museum.